Syracuse Glass is a Vitro/PPG Authorized Supplier of Clear Solarban 70 XL Solar Control Low E Insulating Glass. For maximum solar control, “Triple Silver” Low E coatings like Vitro Solarban 70 XL are a great design choice. SGC offers Solarban 70 XL on clear glass, or other color options by using a tinted exterior lite with Solarban 70 XL on clear as the inboard lite. Syracuse Glass is a Vitro/PPG Authorized Supplier of Clear Solarban 60 Solar Control Low E Insulating Glass. A HIGH LIGHT TRANSMISSION makes it a great choice for schools, commercial entrances, or retail applications where high visibility or a welcoming appearance are desired. A remarkably LOW SHGC, especially considering the high light transmission, to reduce air conditioning costs and increase occupant comfort during hot, sunny days. A winter U-FACTOR that complies with the NYS Energy Code in Climate Zones 4,5, OR 6 combined glass and framing performance requirements by adding argon gas, or an inside surface low e coating, and thermally broken or double-thermally broken storefront framing systems. The Solarban 60 coating should be positioned on the number 2 surface in insulating glass units with all clear glass for the best SHGC performance and color uniformity. The coating can be placed on the number 3 surface if a tinted glass is the outboard light. The winter U-factor is the same whether the coating is on the number 2 or number 3 surface. Insulating glass with Solarban 60 can be annealed, heat strengthened, or fully tempered. SGC will stock Solarban 60 on Clear in ¼” thickness. Other thicknesses of Solarban 60 on Clear can be brought in for specific projects. THIS CHANGE IS EFFECTIVE OCTOBER 3, 2016. The state code has two methods that can be used. 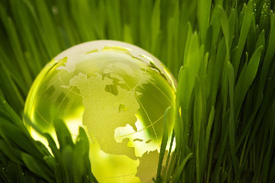 The International Energy Conservation Code (“prescriptive method”) is intended for small commercial buildings. The ASHRAE 90.1 Standard is intended for use by design professionals for larger, complex buildings. The state’s 2016 Supplement contains modifications to IECC and ASHRAE. There is NO CHANGE to the U-Factor requirements in the 2015 IECC & 2016 Supplement. The SHGC requirement has been simplified by the elimination of different SHGC requirements on different elevations. The code establishes minimum U-Factor and SHGC requirements FOR THE COMBINED GLASS AND FRAMING SYSTEM, which is different than Center of Glass Values. See the News section of our Website, or ask us to send the following: 1) A summary of the new code, 2) a map of NYS counties and their climate zones, 3) Center of Glass U-Factor and SHGC requirements to comply with the code with several Tubelite framing systems, 4) glass performance information, and 5) a sample certification of compliance. This information is intended to assist the glazier if he is asked to select and combine glass, framing systems and shading devices, and document energy code compliance to a building owner, contractor, architect or code official. Compliance certificates and lab simulations for Tubelite framing systems, as well as a link to the code division announcement and the actual code language are also available at www.syracuseglass.com. If you’d like more information or staff training, contact your Syracuse Glass sales representative or a member of our glass or aluminum estimating teams. Syracuse Glass and Tubelite have made the investments to provide you the very best in energy efficient glass and glazing products; “Team Syracuse Glass” is ready to help if you need it. New York State has adopted new building codes that become effective October 3, 2016 throughout the State, excluding New York City. Since 2000, New York State has been publishing codes for the State based substantially on the “model” International Codes. This revision will be different. The state will not publish New York State codes, but instead adopt and enforce the model code directly, with modifications in a document called the 2016 Uniform Code Supplement. Exception: Single fully tempered glass complying with Category II of CPSC 16 CFR part 1201 or Class A of ANSI Z 97.1 shall be permitted to be used in handrails and guardrails where there is no walking surface beneath them or the walking surface is permanently protected from the risk of falling glass. 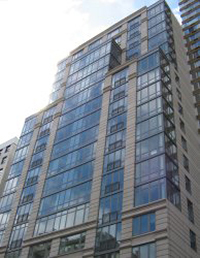 This code change is being made due to cases of high-rise building tempered glass railing breakage and fallout. The section in the Residential Code covering guards and railings, R 308.4.4 has not been changed. Tempered glass is still allowed in the one and two family dwellings of not more than three stories above ground that are governed by the Residential Code. ENERGY CONSERVATION CONSTRUCTION CODE OF NYS EFFECTIVE JANUARY 1, 2015. The New York State Building Standards and Codes office has announced a change to the State Energy Code which applies to commercial building construction and renovation throughout New York State. The new code, the Energy Conservation Construction Code of NYS 2014 replaces the ECCCNYS 2010 version, EFFECTIVE JANUARY 1, 2015. The code establishes minimum combined glass and framing system (“whole system”) U-factors and SHGC value requirements using either a “prescriptive method” based on the IECC 2012 version or a “performance method” based on ASHRAE 90.1 – 2010 version. See the code section of the technical documents page for a summary of the most important provisions on the prescriptive method. Compliance with the code can be documented with a certification form through the AAMA 507 Standard. Enforcement is handled by the local code officials who may look for compliance certificates during their permit process. If you’re installing glass and aluminum framing systems in commercial buildings, particularly if you’re selecting and combining the materials rather than following architectural specifications, I urge you to be mindful of this significant change in minimum requirements of energy performance, and the potential requirement of a building owner to document energy performance to a code official. Compliance certificates and lab simulations for Tubelite framing systems are located in the code section of the technical documents page, as well as a link to the code division announcement and the actual code language are all available on our web page. If you’d like more information or staff training, contact your Syracuse Glass sales representative or a member of our glass or aluminum estimating teams. Jim Dwyer, a longtime leader of Syracuse Glass Co., passed away Aug. 5 after a battle with a chronic lung condition, Jim started at Syracuse Glass Co. in 1960 in a sales position, and went on to run the company. Jim Dwyer and his wife Kathleen bought Syracuse Glass in 1979. 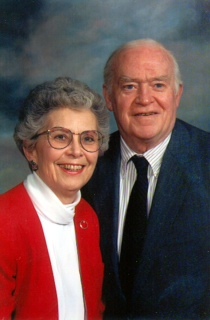 Back in the day, they were known as ‘Jim and Mrs. Dwyer,’ when Jim handled the management and sales roles, and Kathleen collected the accounts receivable, Those were tough times, with a recession and high interest rates. But together, they made it work. Jim Dwyer was also a leader in developing energy-efficient products. Energy efficiency is a big deal now, but Jim got Syracuse Glass into the manufacture of energy-efficient insulating glass back in 1972. Several new tools have been added, including the glass appearance selector, which allows the user to see how combinations of different glass substrates and coatings appear in the transmitted and reflected light. Project photos are also included. 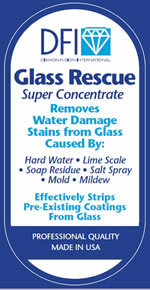 Go to and book mark www.sunguardglass.com - The most useful technical resource for architectural glass product by global industry leader Guardian Industries. Guardian Industries offers these world class products to Sunguard Select Fabricator Syracuse Glass Company from its Geneva, NY float glass plant. Contact Tiffany Humphrey in our office for more information. Use the new CR Laurence design criteria for totally frameless shower enclosures – without headers! Call Tiffany Humphrey in our office for the design criteria, or download it from our website – go to technical information, shower enclosures section. As long as these criteria are followed, a header-free enclosure is permitted based on engineering performed by CR Laurence. As with any other shower enclosure, the CRL Showers Online software manages the glass dimensions, hardware cutouts and locations, and clearances. 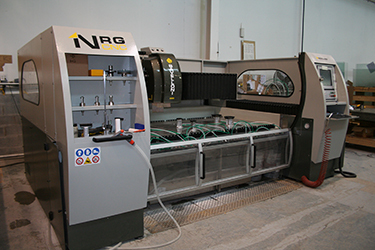 And our CNC fabrication and convection tempering furnace produce glass that meets or exceeds industry standards. 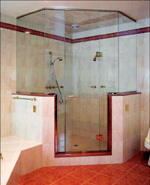 Click on the Frameless Shower Enclosures tab on the left side of this page for more information about Syracuse Glass’s custom heavy glass shower door offerings. Schott’s Pyran Platinum fire rated glass ceramics, available from Syracuse Glass have been certified as the world’s most environmentally friendly fire rated ceramic product, made without heavy metals used in competing products. This “cradle to cradle” silver level certification is another reason to use Schott Pyran Platinum products – in addition of course to the superior surface quality and clear appearance. For more information, select the fire rated glass tab on the left, and see the technical document covering this achievement. The State of New York Codes Division has announced that the State will be revising codes this year. The effective date of the new codes is December 28, 2010. The Building Code of NYS 2010, Residential Code of NYS 2010 and Energy Conservation Construction Code of NYS 2010 will replace the 2007 versions that are currently in force. ENERGY CODE: Syracuse Glass can supply glass and aluminum products that will meet the energy code requirements. We can provide center-of-glass performance values (u-factor, SHGC) or, if we’re providing the Tubelite framing material, whole system performance (combined glass and framing) using AAMA 507 Standard Practice for Determining the Thermal Performance Characteristics of Fenestration Systems Installed in Commercial Buildings, based on the NFRC Standard Glazed Wall System glass size. Combined glass and framing u-factors and SHGC values (not center of glass) are required for code compliance. The AAMA 507 standard contains a certificate of compliance that the installer signs, certifying the listed materials have been installed. SGC has the independent lab energy performance simulations for the Tubelite T14000 series which are required for this compliance method. Click here for a spreadsheet containing code requirements for Upstate New York counties, and center of glass and glass and framing energy performance for readily available glass options glazed in Tubelite T 14000 framing material. 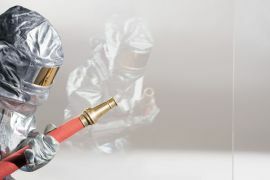 BUILDING CODE: The new building code removes the polished wired glass exemption from safety glazing requirements in fire rated hazardous locations ENTIRELY. AFTER DECEMBER 28, 2010, WIRED GLASS WILL NO LONGER BE ALLOWED TO BE GLAZED IN CODE SECTION 2406 HAZARDOUS LOCATIONS (DOORS, SIDELITES, ETC.) IN ANY COMMERCIAL BUILDING, IN ADDITION TO THE K-12 SCHOOLS AND GYMNASIUMS WHERE WIRED GLASS IS NOT ALLOWED BY THE 2007 VERSION OF THE STATE BUILDING CODE. Syracuse Glass has two fire rated glass products that have the CPSC 16 CFR 1201 impact safety ratings that comply with the code - Schott Pyran Platinum F (surface applied film) or Schott Pyran Platinum L (laminated). Both products are cut and labeled for fire rating and for safety glazing under a UL supervised labeling program. Schott Pyran Platinum (no film or lamination) is also available for locations where human impact is not a concern. Syracuse Glass is pleased to announce Underwriters Laboratories approval for on-site cutting and labeling of Schott Pyran Fire Rated glass ceramics! Syracuse Glass and Guardian Industries are pleased to announce another addition to the popular SunGuard Series of high performance architectural glass products. SN-54 improves glass energy performance 30% compared to current commercial building energy standards, (ANSI/ASHRAE 90.1-2004), enabling LEED credits in multiple categories, including energy savings and daylighting. With an excellent SHGC of .28, 72 percent of solar energy is blocked. Yet with a visible light transmission of 54%, a high degree of natural light is allowed into the building interior, but SN-54 lowers interior glare – a great feature for applications where occupants need to see computer monitors. SN-54 is also a great value, since it is applied to less costly regular clear glass as well as premium low-iron ultra-clear glass substrates, unlike competing offerings. Unlike SN-68 which is always a standard inventory item, SN-54 will be brought in for larger commercial projects. But if long lead times are a concern, Syracuse Glass and Guardian Industries are frequently the fastest source for high performance glass. For more information, go to www.sunguardglass.com, or contact us. 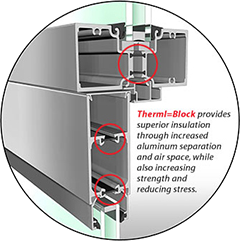 Syracuse Glass and Tubelite are pleased to announce our newest “green” building product – the ThermlBlock thermally improved door and frame. Thermally improved entrances are available in a medium stile profile with 4” stiles and top rails, and a 10” bottom rail for accessibility requirements. Improved insulating performance is now available in an easy to specify, cost effective manner SINCE THE DOOR THICKNESS REMAINS A STANDARD 1 ¾’ – ENABLING THE USE OF STANDARD HARDWARE. For more information, click on www.tubeliteinc.com/product_types/ent_therml/ent_therml.html , or phone Mike York in our office. Highly precise tolerances and polished edges on notches and internal cutouts allow for even more uses for fabricated glass products. And since the CAD based software that runs the machine even accepts your .dxf files, complex fabricated orders have never been easier. Syracuse Glass is pleased to announce the availability of commercial all glass doors with 2 5/16” door rails! C R Laurence’s new Low Profile Door Rails make this possible. At 2 5/16” in height, these new rails are almost half the size of the traditional 4” rails, making the Low Profile all glass door a great choice for designs that call for the minimum amount of metal framing. The new low profile rails also incorporate the popular wedge lock feature which allows for field adjustment! Another unique feature – the rail can accommodate a floor lock. An 8” patch fitting, matching sidelite bases, and a complete hardware color selection make for a complete system, using ½” tempered glass. For more information, call Ryan Friedman or Daryl Bertollini, or refer to the CRL Architectural Hardware Catalog AH07, available on request from Syracuse Glass. Syracuse Glass is teaming up with Guardian Industries to produce high quality, high performance coated insulating glass as a Sunguard Select Fabricator. This alliance represents a CLEAR NEW ALTERNATIVE for Glazing Contractors, Design Professionals and Building Owners looking for insulating glass with best-in-class APPEARANCE and PERFORMANCE with reasonable LEAD TIMES. 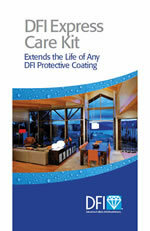 Guardian Industries is a global glass industry leader with a particularly strong expertise in advanced glass coatings. Guardian has five large-scale glass coaters in the U.S., including one at their GENEVA, NY FLOAT GLASS PLANT, just one hour by truck from our location! This tremendous local resource enables us to offer some of the industry’s fastest service, even with traditionally difficult and expensive to obtain “soft coated” solar control tempered insulating glass. Guardian’s TECHNICAL SUPPORT is also readily available. Syracuse Glass has been manufacturing insulating glass since 1972, and dual seal insulating glass with LISEC vertical equipment since 1989. In 2002, Syracuse Glass acquired a UNIGLASS convection tempering furnace, the second such furnace in North America. Convection furnaces are required to temper these challenging post-temperable “soft-coated” glass products without excessive distortion. Since 2003, Syracuse Glass has produced insulating glass with Guardian’s SN-68 solar control low emissivity glass for applications where high light transmission and high control of solar heat gain are called for. 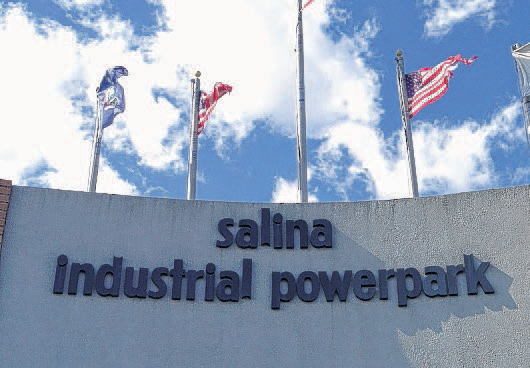 This product is an equal performer to PPG’s Solarban 60 or Viracon’s VE1-2M. We can also provide SN-68 as an inboard lite with a tinted or reflective outboard lite where a colored appearance is desired. Under the Sunguard Select Fabricator Program, we can now offer SN-54, the second option in Guardian’s Super Neutral Series, as well as seven additional coating options in their High Performance Series. For more information or a personal visit, call us, or visit www.SunGuardGlass.com, or our website’s insulating glass technical area, which contains a product catalog and competitor comparison chart. Syracuse Glass is pleased to be among an elite group of glass fabricators to offer Guardian ShowerGuard – an innovative coated glass product designed especially for frameless shower applications. ShowerGuard glass contains a PERMANENT surface coating that is easy to clean, chemically durable, and optically transparent. 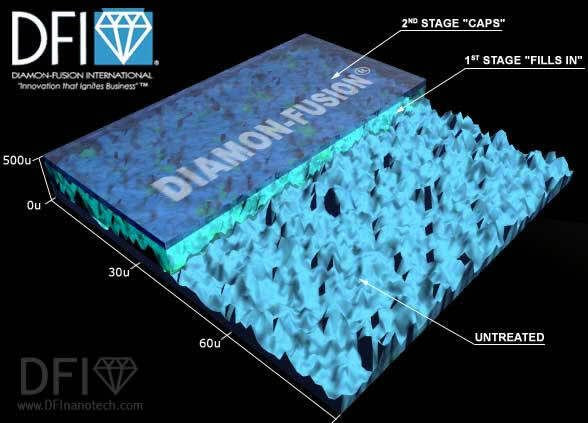 Guardian’s patented ion beam process uses diamond-like carbon to produce a temperable coating that keeps minerals, scale, and soap scum from adhering to the glass surface. ShowerGuard is a great choice for residential as well as commercial hospitality applications where glass appearance and cleaning effort are of concern. Syracuse Glass is offering ShowerGuard in 3/8” and ½” thickness, with the flatness and quality made possible by our Uniglass convection tempering furnace. Syracuse Glass has been certified by Guardian Industries as a fabricator of Guardian's high performance solar control low e product - Super Neutral 68. CLEAR APPEARANCE - When insulated with ¼" clear glass, SN-68 allows 68% light transmission compared to 73% for regular 1" clear insulating units! SOLAR CONTROL - SN-68 has a shading coefficient of .43 when insulated with ¼" clear glass. That's about equal to the performance of a bronze Solarcool reflective I.G. unit, and that's pretty remarkable for glass that looks clear. When combined with a tinted outboard lite, the solar control properties can be further enhanced. Building owners love this feature - it means lower air conditioning bills and greater occupant comfort. THERMAL PERFORMANCE - This product has a nighttime U value of .29 with an air filled airspace, compared to .33 for our traditional "hard coat" low e, about a 14% increase in thermal value. This product offering has benefits for you, our valued customer too, in that WE CAN CUSTOM TEMPER THE PRODUCT ON SITE . This eliminates the long lead times, boxing costs, and freight costs many times associated with high performance architectural insulating glass product orders. These temperable soft coated products are really amazing, the result of a lot of research and development efforts by many in our industry. SN-68 is an equal product to Viracon's VE1-2M or PPG's Solarban 60. These products are challenging to work with as a fabricator because of their delicate nature, and the way they resist heating during the tempering process. But our people and our high tech UNIGLASS convection tempering furnace are up to the task. Count on us at Syracuse Glass to provide a product that meets or exceeds Guardian's standards that you can feel confident in using on your architectural projects. Syracuse Glass has teamed up with hardware powerhouse CR Laurence to offer ALL GLASS COMMERCIAL ENTRANCES. This alliance builds on the strengths of both organizations to produce a complete, coordinated, user- friendly solution for the Upstate New York construction community. Syracuse Glass provides the high quality convection tempered glass with many different glass types and fabrication options, with fast lead times and low freight costs. CR Laurence provides their industry leading software product, and an extensive selection of hardware designed to suit any design professional or building owner. As an additional bonus for the glazing industry, the CRL Wedge-Lock system enables field adjustment, just one feature that makes this system the easiest all glass entrance product to install on the market today. Call for our brochure, our complete catalog, or a personal visit to discuss these increasingly popular entrance products.